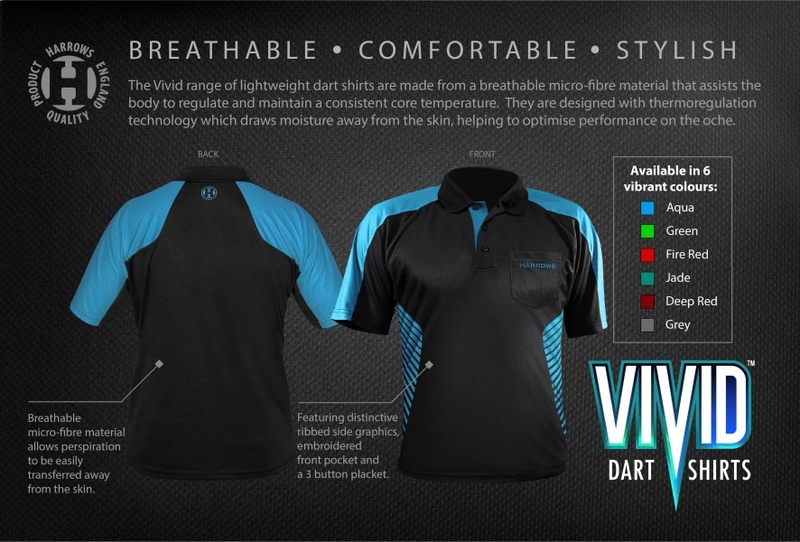 The Vivid range of lightweight dart shirts are made from a breathable micro-fibre material that assists the body to regulate and maintain a consistent core temperature. They are designed with thermoregulation technology which draws moisture away from the skin, helping to optimize performance on the oche. 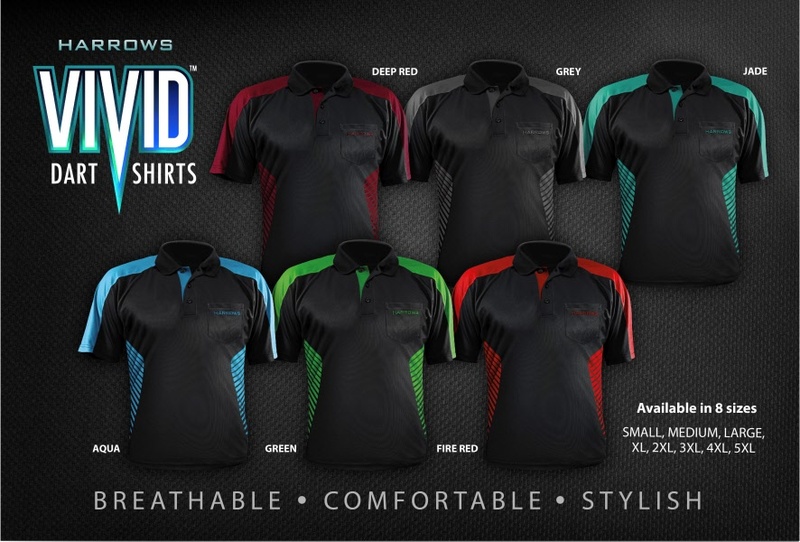 Featuring an embroidered, reinforced front pocket, distinctive ribbed side panels and a 3 button placket. 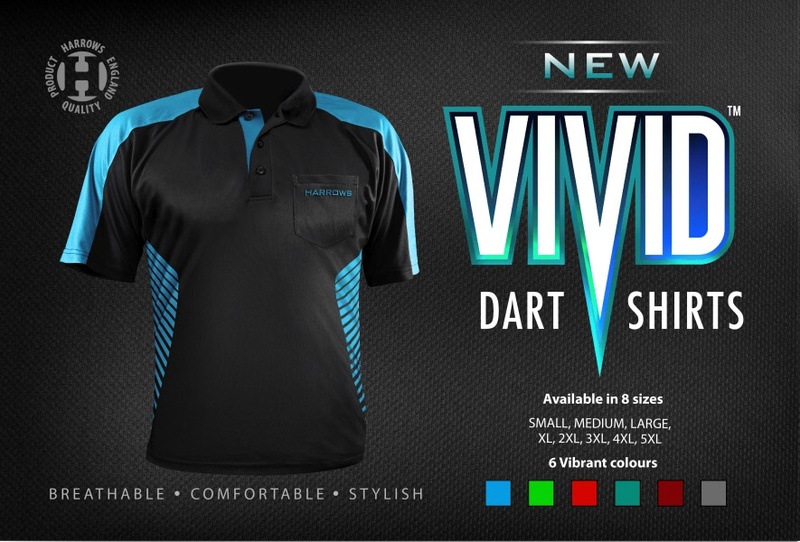 Vivid Dart Shirts are available in 6 striking colors, choose from Aqua, Deep Red, Fire Red, Green, Grey or Jade.